Welcome to Culture Curators membership, an elite conversation with utterly driven owners and executives across the world. I am so glad you are here, with the purpose of providing you with all you need to curate the company culture you have always envisioned. First thing first, join our Facebook group and Linked group for ongoing conversations with our community. Here’s where you can find our monthly webinars from our team of consultants around everything Predictive Index Tool related. Here’s where you will find your immediate templates and resources. If you are looking for more or something in particular that you don’t see listed. Here is the library that includes a variety of topics and playlists. Looking for a specific topic; reach out to me directly or post a comment in our groups. Here’s where you will find the monthly call in days for your specific one on one time. Currently your call in days are always the first Friday of the month. 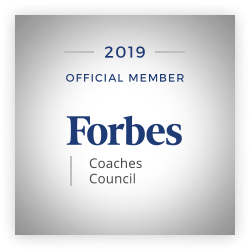 Click below for career coaching guidance that you can use to prepare for your company's career coaching session or share with your employees for team-building exercises. If you or a member of your team has a question or need a tip that you don’t see here, let us know so we can add it. Are you in-between meetings? On a lunch break? Wondering about employee engagement, recruitment, or managing the diverse members of today’s workforce? Click the button below for quick yet effective advice about each of these topics (and more). We're here to help. Here is where you can download a variety of e-books from me directly and or other resources such as Predictive Index. You can also grab your paperback book that I promised with your membership on How to Avoid Culture Big Fat Failures (BFF).